Celebrating Tudor’s #BornToDare spirit, David Beckham joins World Champion Free Diver and friend of Tudor, Morgan Bourc’his in open water. their wrist. #BornToDare is a testimony to TUDOR’s pioneering and cutting edge approach to watchmaking, leading to the brand’s innovations becoming industry benchmarks. Bourc’his. 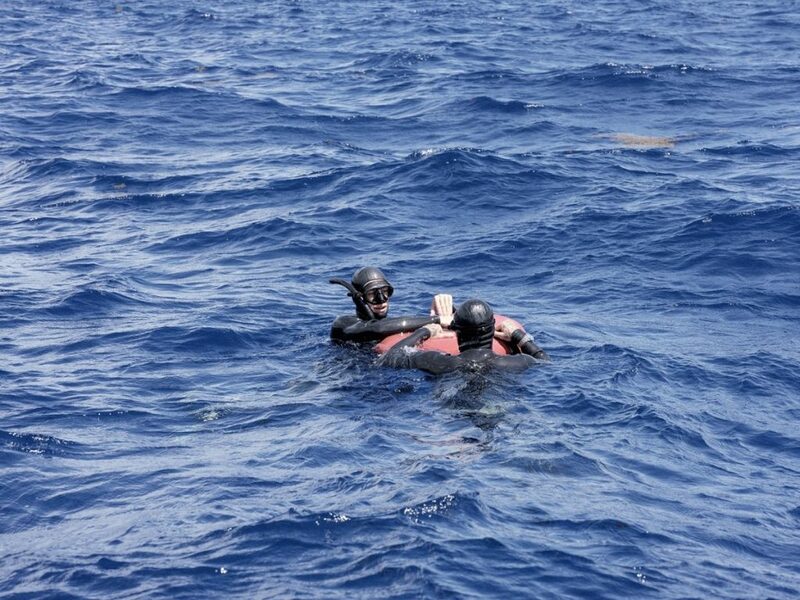 The pair then sail out to the open sea and experience free-diving. Beckham overcomes his fear and completes a few descents with his dive buddy. “These are the moments when you are born to dare. It is about putting yourself in situations where you face challenge, which I like. Most of the time these situations bring out the best in me” Beckham said of his experience. Morgan Bourc’his was born in 1978 in Touraine, central France. From a very early age he excelled at swimming and by the age of 22 he began to yearn for the open sea and made the decision to move to Marseille and dedicate his time to free diving. As part of the French national team, he became World Champion in Egypt in 2008. However, it was in September 2013 that he achieved his crowning glory : he became the World Champion for Constant Weight Without Fins with -87M. At the same event he broke the French record with -89M, which he improved in 2017 with -90M. 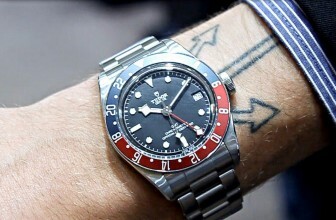 Throughout the whole adventure, Beckham and Bourc’his are wearing TUDOR Pelagos diving watches. The name Pelagos is derived from Greek and means “relating to, or living in the open sea”. 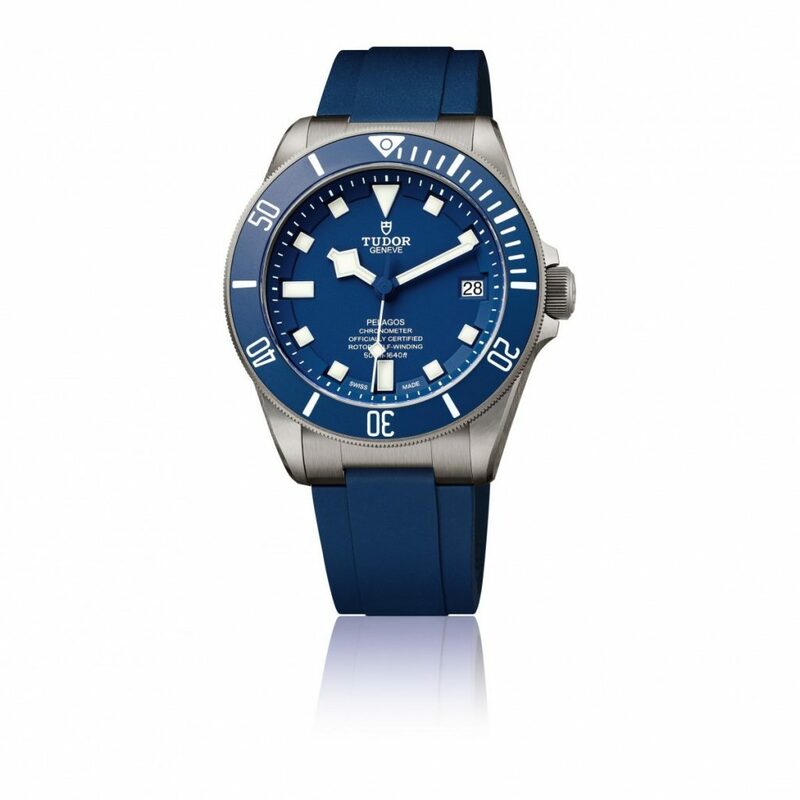 As the name suggests and thanks to its technical features, TUDOR Pelagos is truly at home underwater, whether on the wrist of a free diver or at great depth in a diving bell. 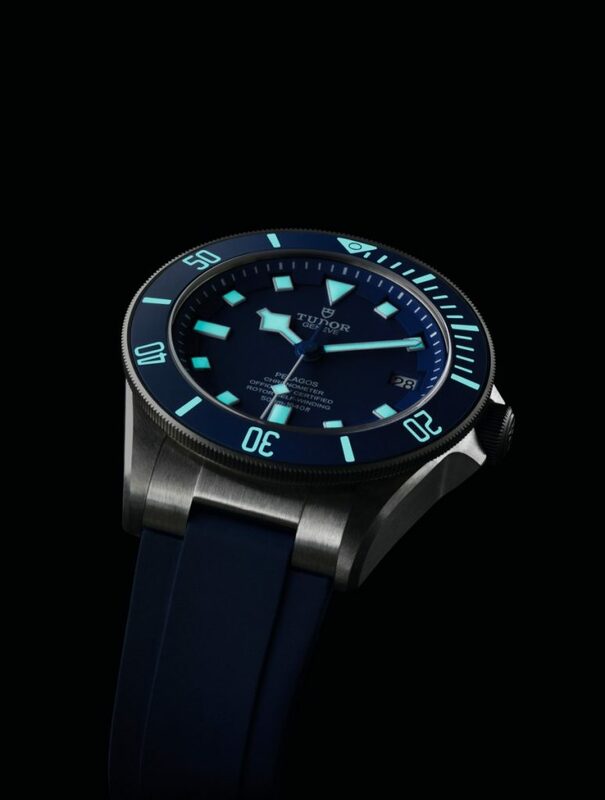 This model’s impressive list of technical features includes being waterproof to 500 meters (with each watch being factory-tested to 625 meters), titanium case and bracelet (40% lighter than stainless steel), patented auto-adjusting clasp, TUDOR Manufacture Calibre with 70-hour power reserve and COSC-certification, helium escape valve and fully luminescent display. 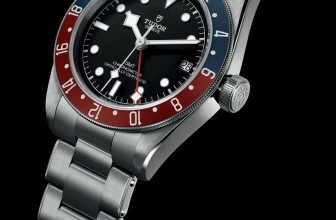 TUDOR is an award-winning Swiss-made watch brand, offering mechanical watches with refined aesthetics, proven reliability and unique value for money. The origins of the brand date back to 1926, when ‘The TUDOR’ was first registered on behalf of the founder of Rolex, Hans Wilsdorf. 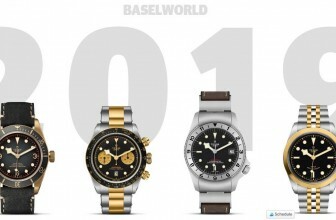 He created the Montres TUDOR SA Company in 1946 to offer watches with the quality and dependability of a Rolex, at a more accessible price point. 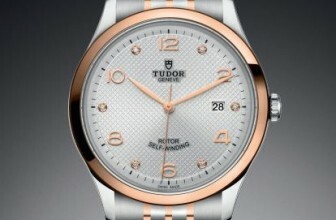 As a result, over the course of history, TUDOR watches became the choice of daring individuals. 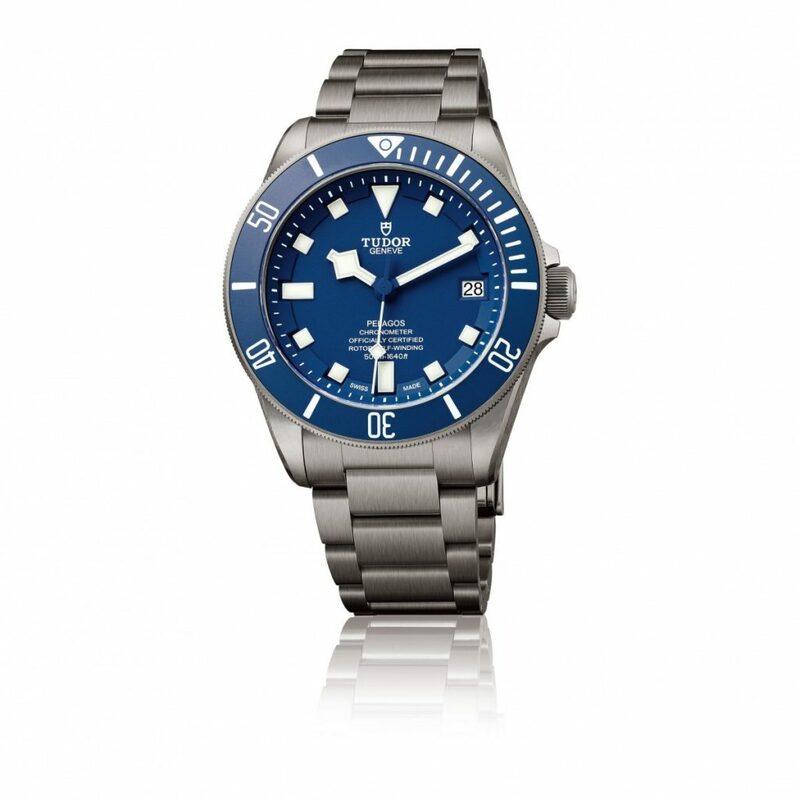 Today, the TUDOR collection includes flagship lines such as Pelagos, Black Bay, Glamour and 1926. Since 2015, TUDOR offers exclusive mechanical Manufacture calibres with varied functions. 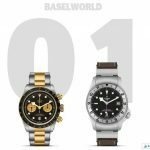 Special Events: Beers, Burgers, Beards & Brogues – First Look at TUDOR’s Basel 2018 Collection!